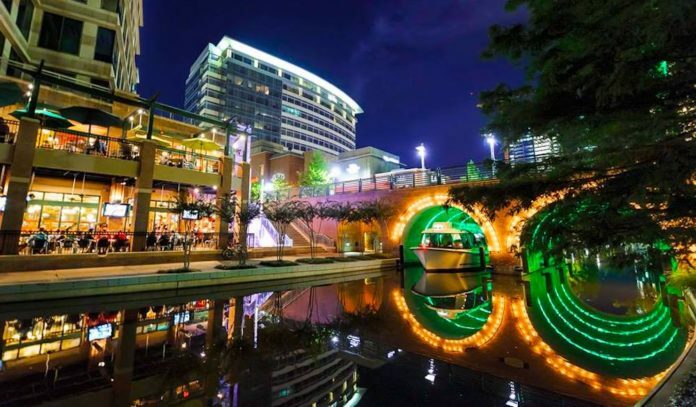 With Market Street shopping, waterfront dining, and connections to the Cynthia Woods Mitchell Pavilion, the Woodlands Waterway is Houston’s River Walk. Explore on foot (or try a kayak or water taxi to help you hop around). Cinemark – Catch the latest blockbuster or indie flick at this plush theatre. Cynthia Woods Mitchell Pavilion – This outdoor amphitheater is one of the Woodlands’ greatest jewels. 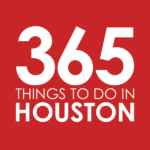 Look out for a lineup of concerts from music’s biggest stars, plus family-friendly performances and festivals, shows from the Houston Symphony, Houston Ballet and Houston Grand Opera, comedy acts and more. The Ice Rink at Woodlands Town Center – Hit the ice rink, open from November through January. Market Street & Central Park – In addition to the multitude of luxury shops, retail stores, and bars and restaurants lining this picturesque town center, Market Street’s Central Park hosts fun events throughout the year, from ladies nights, goat yoga, and art shows to concert series, holiday happenings, and fun runs. See the full calendar online. Millenium Mew Park Koi Garden – This koi pond and Asia-inspired garden is the perfect place to enjoy a moment of zen. Riva Row Boathouse – Within walking distance from both Market Street and The Cynthia Woods Mitchell Pavilion, come here to grab a kayak view of the waterway. Town Green Park – Rocking a children’s labyrinth, stage, amphitheater, and main lawn that is nearly two football fields long, this four-acre green space hosts events all year long. You may even be able to hear a show at the nearby Cynthia Woods Mitchell Pavilion. Waterway Square Park – This one-acre public plaza rocks unique water features and tree-shaded green space. Snap a selfie in front of the colorful lighted fountains, hop on a trolley, or try the waterway cruiser. 1252 Tapas Bar & Kitchen – Locals head to this Market Street eatery to nosh on an eclectic mix of traditional and contemporary tapas, from pan tomate and Serrano croquettes to bacon-wrapped scallops and cider-glazed chorizo. Tack on greens, tacos, flatbreads, paella, and a few craft cocktails. Baker St. Pub & Grill – Right off the Waterway, this local watering hole rocks live music, happy hour, and classic pub fare. Bar Louie – This Waterway Square Plaza spot invites all to eat, drink, and be happy. Get bar bites from Bavarian pretzel sticks and potstickers to bourbon burgers and drunken fish and chips. Berryhill Baja Grill – The Market Street outpost of this local mini-chain has fresh Baja-style Mexican food. Get frozen margs, dip chips in guacamole, and fill up on tacos, tamales, fajitas and more. The Counter – Build your own burgers on buns and in bowls at this fast-casual Market Street joint. Then tack on some shoestring fries and a chocolate shake. Cru Food & Wine Bar – Relax and unwind at the Market Street outpost of Cru, which just so happens to boast an excellent happy hour complete with $4 to $6 shareable plates (think calamari, goat cheese beignets, and margarita pizza), and $3-off glasses and flights. Crush Wine Lounge – The rooftop deck at this Waterway wine lounge is always rocking. The Goose’s Acre – A popular Waterway watering hole, The Goose’s Acre brings an Irish pub theme to the Woodlands. The bistro pumps out pub classic—think sliders, wings, pizzas, and burgers—along with Irish-kissed plates, from shepherd’s pie to potato nachos and corned beef croquettes. Grimaldi’s Pizzeria – Tucked into the heart of the Waterway District, Grimaldi’s is your go-to spot for thin and scorched brick oven pizza. Hubbell & Hudson – Located off Lake Robbins and Waterway Ave, this bistro, kitchen, and intimate tasting restaurant offers elegant New American fare. At the Bistro, share plates of house-brined pork belly, Vietnamese cauliflower, and jumbo lump crab cakes; then feast on local salads, dry-aged steaks, and crab and truffle pasta. At the more casual Kitchen, get weekday breakfast and weekend brunch, build your own salads, hit the soup bar, and enjoy Angus beef burgers, housemade lasagna, and oak-grilled salmon BLTs. And at Cureight, indulge in chef Austin Simmons’ impressive, forward-thinking and playful tasting menu. Jasper’s – Get a taste of the South at this “backyard gourmet” restaurant set in Market Street. That means you can dine on smoked Texas peach bruschetta, wood-grilled ribeye, and cedar-smoked salmon. In true Southern fashion, there’s happy hour and brunch, too. Morton’s Grille – Morton’s on the Waterway offers an upscale steakhouse experience with plenty of charm. Start with jumbo lump crab cakes, Korean bbq quail and center-cut iceberg with blue cheese, then indulge in 44 Farms steaks, Midwest Prime beef, and Snake River Farms wagyu topped with foie gras-cognac butter or bourbon au poivre. Schilleci’s New Orleans Kitchen – Transport yourself to the French Quarter by way of Market Street. This elegant New Orleans-inspired restaurant specializes in Creole and Cajun eats, including favorites like smoked crawfish dip, seafood gumbo, Duck St. Charles, and scampi-style jambalaya. Tommy Bahama Restaurant & Bar – Stop by this Market Street restaurant and bar for lunch, dinner, or happy hour. The menu covers everything from Ahi tuna poke and blue crab bisque to all-American burgers and fresh catch fish and chips. Uni Sushi – Get your sushi fix or go for bento boxes, yaki udon, and firecracker chicken at this Market Street standby. Market Street Shops – Hit up popular stores like Lululemon, J Crew, Club Monaco, Charming Charlie, Bath & Body Works, Lush, Sur La Table, Z Gallerie, Brooks Brothers, Kate Spade, Kendra Scott, Tiffany & Co, and Vineyard Vines.